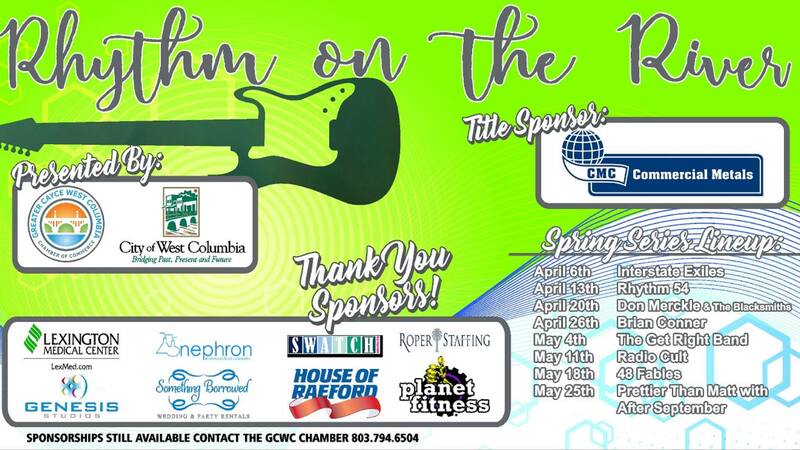 The Rhythm on the River Spring Concert Series begins Saturday April 6. 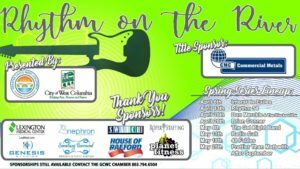 The shows begin at 6 p.m. and are at the West Columbia Riverwalk Park and Amphitheater, 121 Alexander Rd, West Columbia. May 25 – Dual Headliners Prettier Than Matt and Runaway Jug Band Food and beverages are available for purchase during each concert.